Clean lines, uncluttered surfaces, and airy rooms look beautifully elegant in photographs. However, living with less can be hard to achieve 24/7. So if you love to collect, prefer an eclectic style, or simply like having your “stuff” within easy reach, minimalism isn’t for you. Purists, meanwhile, can enjoy sleek and efficient living spaces, maybe with some of that on-trend “Scandi cool.” Because it’s all about limiting yourself to beautiful, bare essentials, a disciplined attitude is needed, but the results are definitely worth it. Use lots of white—that’s the premier decorating tip for the minimalist apartment. The effect is timeless, space-enhancing, and works in every room. With a landlord’s permission, walls, ceilings, and woodwork can be given a lick of white paint—a simple tip even for novice DIY-ers! 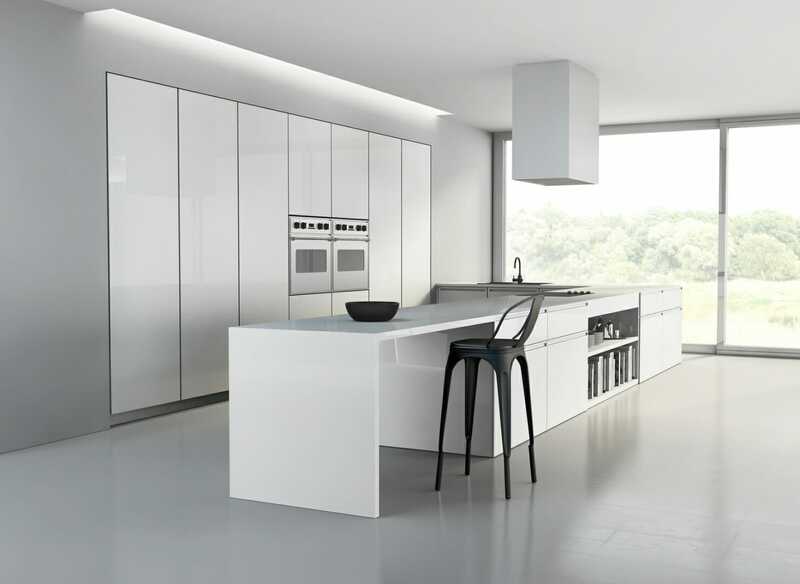 In the kitchen, if you’re lucky enough to inherit banks of glossy, handle-free doors and smooth, white Corian or marble worktops, make sure surfaces are kept clutter-free by storing everything away from sight. Likewise in a white bathroom, keep lotions and potions hidden in cupboards but consider breaking up the monotone with some colored towels or a patterned shower curtain. Sometimes, all of those bare surfaces and slick, uncluttered rooms are crying out for a single shot of color or texture. And while a classic Eames armchair in crimson or a battered leather vintage sofa might not qualify in the minimalist rulebook, rules are there to be broken, right? In the bedroom this could simply mean a silver wool throw draped across the bed, and in the kitchen a set of glossy black appliances for a hit of monochrome cool. Because, let’s face it, a lot of bright white might actually be a little difficult to live with day in day out. Minimalism may turn its nose up at plush fabrics and busy patterns, but that’s not to say there’s no way to complement your minimalist color scheme. One answer is industrial materials: thick slabs of smooth concrete, or an exposed wall of bare brick introducing a rugged element. Even bright lines of exposed copper pipe could add a flash of warm metallic color. If you don’t have any of these materials already in your home, work in some raw timber furniture and upcycle cinder blocks into a chic bedside table. Factories and building sites have never been so inspiring. If you want to up the design ante, you won’t do better than see-through furniture. 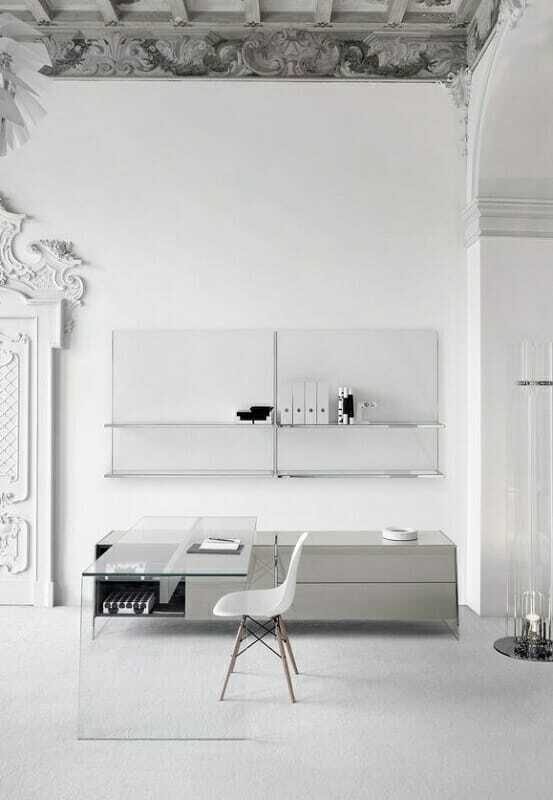 Transparent coffee tables, chairs, and lamp bases (in durable acrylic or elegant glass) are perfectly in tune with minimalist styling for several reasons. These barely-there silhouettes are visually calming, make a room feel larger, and work with any sort of modern design; they also let the light, bright “whiteness” flow through, totally uninterrupted. It’s no use opting for a minimalist style if you love big, bold patterns. However, an uncluttered backdrop and wide expanses of blank space can definitely benefit from subtle pattern here and there. Consider a patterned floor tile in the bathroom or cloakroom—a simple black-and-white design will keep the overall effect looking crisp. Even if you are dead set on a minimalist apartment, you can’t just throw out all your belongings simply because they interfere with the clean lines. You don’t want bits and pieces cluttering up your surfaces, but you still need to live! Opt for cupboards and units that stretch from floor to ceiling—freestanding if nails aren’t allowed. Do you love minimalist style? Please share your hints and tips in the comments section below. 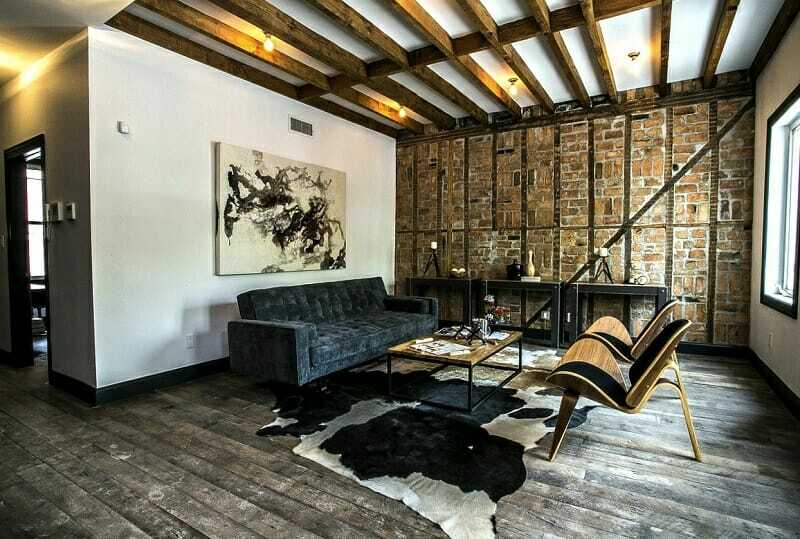 This guest post was submitted by our friends at RENTCafé.